There are 3 contracts involved in a lease with purchase option: the lease, the option and the purchase & sale agreements. Lease - The lease covers rent (including any monthly purchase option premium), term, security deposit (if any) plus utility payment policies, pet policies, etc. Option - The option to purchase contract (also known as a 'lease purchase' agreement) covers the "protection level" of the option (if any - see below), option term, purchase option premium(s), purchase option premium payment terms, any seller conessions (such as "rent credits", "improvement credits" and "early close credits"), extension options and more. During the lease/option term, prior to exercising of option, only the lease and option contracts are active. At exercising of option, all purchase option premiums would apply towards the purchase and sale agreement. If option not exercised, only security deposit (if not put up towards purchase option premium) may be refundable. All purchase option premium funds are non-refundable as they are an extra charge reserving the rights (see below) to purchase the property at a later date. If these purchase rights are not used before the option 'expiration' date and there is no extension, the purchase option premium was simply extra rent paid. Only in cases of Owner default in the lease, option and/or purchase and sale agreements may purchase option premium be refundable (see below). Purchase and Sale - The underlying sales contract. Covers purchase price, deposits, seller concessions, closing date, and closing payment arrangements. As far as contingencies, inspections must be completed prior to start of lease/option term and there are no mortgage contingencies. The lease/option term basically buys an extended period of time to do whatever is necessary to obtain financing. This contract could be drawn up at time of lease and option contracts or drawn up at option exercise date. Open - no protection, possibly without option contract. This is a lease only with open sale rights. Security deposit possibly counted as down payment if purchase. 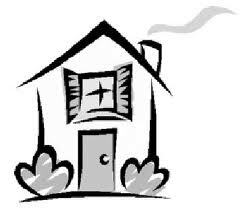 Tenant may purchase or Owner may sell to any buyer at any time in separate transaction. If other buyer found before tenant able to buy, property sells and lease transfers to new owner. The property could be actively for sale meaning price would be current market price or perhaps a landlord does not wish to sell right away but may consider selling at some later time for a price to be determined at that time. First right of refusal - Low to no purchase option premium, security deposit possibly counted as down payment if purchase, locked in purchase price, lease and option contracts only. Purchase & sale executed at exercise of option. This is where the option agreement is not exclusive and the tenant-buyer (the 'optionee') has the option to buy within a certain time frame provided that the seller doesn't find another buyer first. If another buyer is found then the optionee must exercise the option to buy basically almost immediately (perhaps in a matter of days - kind of like a surprise balloon payment) or the deal is lost. Exclusive - Highest level of protection. Generally requires full purchase option premium, Owner cannot sell to anyone else during term of option. As this type of option is what we recommend, all terms discussed below shall be as applied towards exclusive options. Note that some owners are willing to grant exclusive purchase rights at first right of refusal costs. The rent price is one of the primary terms in a lease purchase. As for what the rental amount actually is, there are many factors that can influence a seller to set a certain amount. These factors may include, but by no means limited to, Fair Market Rent, rental comps, repairs a property may need, mortgage amount (if any) and/or a monthly purchase option premium. Below is information on these factors. Fair Market Rent (FMR) - Fair Market Rent comes from a documentation system compiled annually by HUD for every city or town in the United States. These figures should not be taken as an exact amount but instead as "ballpark" figures of rent for a particular area. For the FMR Documentation System Summary, click HERE. Rental Comps - These are the actual rental amounts that various properties are on the market for and together comprise the "ballpark" rent range. It is difficult to determine an exact rent range based on FMR from rental comps for lease with purchase option properties because of such wide variations in property characteristics but taking into account the types of properties that most tenant-buyers are interested in and can afford (single family/non-condo/non 55+/under $360,000), this "ballpark" range generally falls between 80 percent of a given FMR to $1,000 greater than the FMR for a property in a given area and number of bedrooms. Some condos, 55+ properties and most properties over $360,000 have rents greater than $1,000 over FMR. It is also important to note that properties with rents in the lowest end of the rent range tend to be harder to find for the simple reason that good deals don't last long. Lastly, a note about multi-family properties. While some multi-family houses are available for lease with purchase option, generally the rental amount listed is for only one of the units and not all of them. It is a common misconception that the rent listed in these cases is for all of the units. Furthermore, in the case of multi-family sandwich lease with purchase options (see below for more information), if some of the units are occupied, the tenant-buyer would not have control over them. Also, if the tenant-buyer wishes to lease more than one unit to either live in one and sublet the others or sublet all of the unoccupied leased units, the seller may agree to a lower overall rent. For example, for a 3-family multi-family property with all units vacant which may rent for $800 each, the seller may agree to an overall rent of $2,000 (all 3 units). Also, upon purchasing, any tenants not subletting from the sandwich lease with purchase option tenant-buyer would have their leases transferred over to the new landlord (e.g. the sandwich lease with purchase option tenant-buyer after exercising option to purchase) in much the same way as in the sale of an apartment building for example. Finally, in these cases, while there may be a reduced overall rent and/or lower purchase option premium (see below for more information), often the seller may ask for multiple months rent up front. Repairs - If a property needs work, the rent could be lower than if totally fixed up. In addition, it is possible to get what is known as an "improvement credit". See below for more information on that. However, a property that needs work is an investment property. In a lease with purchase option, an 'as-is' property like this generally would not approve for an FHA mortgage and might not be up to rental code. That being said, these are best for investors for rehab and then once up to code, rent or sell (either outright or through a lease with purchase option). Mortgage Amount - Sometimes, the rent for a property is not based on FMR or rent comps but instead on the monthly mortgage payment of the seller. While the fact that a seller's property is mortgaged is inconsequential by itself, there have been cases in lease with purchase option arrangements where the tenant-buyer is paying all rent on time yet the mortgage still becomes delinquent and the property subsequently foreclosed and the tenant-buyer evicted. In these cases, the mortgage becomes delinquent because the landlord does not pay the mortgage (this is known as a "deadbeat landlord"). However, we can help. We have a program which prevents this from happening. What we can do is refer you to a rent escrow company which, for a small fee, will pay such mortgage and possibly other costs which the rent payment would normally cover thus preventing such a foreclosure/eviction scenario from ocurring. Either click here or CONTACT US for more information regarding the [rent escrow] tenant-buyer assurance program. Purchase Option Premium - A purchase option premium is any funds paid towards the option rights on the property. A purchase option premium can be an up-front, monthly, annual and/or other arrangement. When it is included in monthly rent, the original lease price is raised. For example, 1 year lease, $8,000 rent premium, $1,600 rent. Tenant-Buyer only has $5,600 up-front for the rent premium but has enough income to afford $1,800/month rent. $200/month would then add to the $5,600 and in 1 year, the entire $8,000 would be paid. All of the possible scenarios in this section would be specified in the various agreements either during negotiations and/or on the agreements themselves. The purchase option premium (also known as "option fee" or "option consideration") are funds paid toward the option rights on the property. The purchase option premium serves several purposes. First, it may be listed as the earnest money deposit used to secure the purchase and sale agreement. Second, being non-refundable (see possible exception(s) below), it gives the seller recourse if the option to purchase is not exercised and is also a "measure of seriousness" of the tenant-buyer for exercising the option to purchase. This is because a common concern among sellers is tenant-buyers entering lease with purchase option arrangements, "trashing the place" [a seller's actual words from a phone conversation] and then not buying and subsequently leaving. Again, since the purchase option premium is non-refundable, it reduces the chances of such a scenario from happening. It is also important for the tenant-buyer to understand the non-refundability of the purchase option premium so they know if they don't buy, those funds (which could be sizeable) would be lost. Although the possibility always exists for a tenant-buyer not to buy, we qualify them to make sure that their credit would be good enough (if necessary, with a credit restoration program) to obtain financing before the expiration of the lease/option term (see below). However, regardless of credit issues, some tenant-buyers will opt to not buy for reasons other than credit ones. In these cases, its like the tenant-buyer is paying to "test drive" the property and if it fails the test, they then "bite the bullet", cut their losses and move on. The typical "unwritten rule of thumb" for the purchase option premium is 5 % of the purchase price although some sellers may accept as low as 2 1/2 % while others may require more than 5 %, typically up to 10 %. On the other side of the spectrum are the no 'purchase option premium' lease purchases. In these cases, its not that there's no purchase option premium, its simply that there's no up front purchase option premium (except the security deposit which can count towards purchase at exercise of option and closing). Instead, the purchase option premium could be paid in monthly installments as a monthly purchase option premium. Therefore, no matter what the payment arrangement (e.g. purchase option premium paid in full up front or in purchase option premium installments or a combination thereof), a premium is paid to secure the option to purchase. There is also a possible additional credit, the "early close credit" but this is technically not a credit but instead a seller concession (see below for more information). Finally, there is the case for a possible purchase option premium refund. The purchase option premium is not refundable beginning upon execution of the lease with purchase option agreement (e.g. the first day of the lease/option term). However, there are 2 possible exceptions to this rule. One is, if at closing, the seller is not able to deliver a marketable title, not able to cure any defects and the tenant-buyer refuses or is unable to accept an unmarketable title. Examples of such title defects include, but are not limited to the seller further leveraging the property by refinancing, taking out additional property loans and/or encumbering the property with third party liens and/or judgments, etc. that cannot be paid off in full with the agreed upon purchase price. In this case, any purchase option premium funds credited as earnest money on the purchase & sale contract could be refundable. In the case of a cooperative assignment lease purchase agreement, we make sure that the title is clear of all encumbrances and/or liens, judgements, etc. other than a mortgage (if any) upon assignment of option contract to an assignee and we are under no circumstances to be held liable for a refund of assignment fee after execution of the assignment contract. The other exception to the non-refundable purchase option premium rule is if the seller causes a mortgage loan to go delinquent over 30 days by not paying the mortgage on time and/or missing one or more payments despite having received rent from the tenant-buyer(s) as per the lease agreement. In this case, the seller could be liable for refunding the purchase option premium (prior to exercising of option). Once again, we'd like to point out that our tenant-buyer assurance program can prevent this from happening. Click here or CONTACT US for more details. The security deposit in a lease with purchase option may be handled in a different way than in an outright rental. In some cases, none may be required while in others, 1-2 months (unless over 62 years of age - 1 month security maximum) may be required (as in an outright rental). However, in lease with purchase options, the security deposit could be either in addition to the purchase option premium or included as part of the purchase option premium. This is important because with the purchase option premium, the up front costs can be high but with the security deposit included with the purchase option premium and not in addition to it, the savings could be substantial. For example, a $200,000 lease with purchase option with $1,500 rent, 1 month security ($1,500) and a 5 % purchase option premium ($10,000), the total up front costs would be $13,000. But, by having the security deposit waived in favor of the purchase option premium, the up front costs would be reduced to only $11,500. With that kind of initial expenditure, the extra $1,500 could very well mean the difference between a "deal maker" and a "deal breaker". On top of that, the security deposit could be counted towards the purchase option premium anyway. In this example, there could be the 1 month security ($1,500) plus a purchase option premium of $8,500. $1,500 + $8,500 = $10,000. The whole purchase option premium. As a matter of fact, if the security deposit is on top of the full 5 %, then it would really by 5.75 % ($11,500 is 5.75 % of $200,000). The lease with purchase option term consists of the lease term and the option term. Also, the lease term and the option [option to purchase] term are two different things but usually have the same start and end date, hence the designation, 'lease/option' term. However, the lease term and option term may sometimes have different start and/or end dates. Read below for more information about these terms and related terms and conditions. Lease Term - This one is self-explanatory. It is simply the length of the rental period as in a regular lease. As for the type of lease, being part of a lease with purchase option, cannot be a month-to-month tenancy and must be for a period of 1 year or more. For more information about the duration of the lease/option term, see below. Extensions : An extension would be an agreement to extend the lease/option term without defaulting or re-negotiating terms. Since typically the lease end date and option expiration date are the same, such an extension would involve extending both the lease and option terms. The length of the extension could be short term (for a period of 1 (or more) months) if a tenant-buyer just needs a little more time to exercise the option or it could be longer, typically 6 months to 1 year. The terms of the extension would be the normal rent plus a new purchase option premium of typically 50 % of the original one (for a 1 year extension) or a portion thereof (for a short term extension). Since the lease and option terms are concurrent, any extension may also require a lease renewal. In a lease renewal, the rent could change (usually rasied). Extension options could be part of the initial lease with purchase option agreement or negotiated after the fact near the end of the option term. It is recommended to have all terms and conditions specified in the lease with purchase option agreement initially. To purchase the property, the tenant-buyer would do what is known as 'exercising the option' (see below for more information). Duration of lease/option term - The time frame for a lease/option term in residential transactions is generally 1-5 years. A short term lease/option period (which is the most common) is between 12-24 months. Of these, the most common is 12 months. A mid term lease/option period is between 2-3 years and a long term lease/option period is between 3-5 years (these generally are for sandwich lease with purchase options - see below). Mid term lease with purchase options are more uncommon, long term ones are rarer still and while extra-long lease/option terms (those with terms of more than 5 years) can exist, they are the rarest of all. However, in commercial transactions, long and extra-long terms are much more common. One more thing about long term lease/option periods. When it comes to this time frame, what is more commonly done is something that some confuse with a lease with purchase option but is not - seller financing. Seller Financing - Some sellers don't need all the cash from the sale of their property when the transaction closes. These sellers may be willing to offer you a second mortgage to help you buy their property. In fact, they often advertise that they're willing to assist with financing. Seller financing differs from a lease with purchase option in that in a lease with purchase option, the seller retains ownership of the property and becomes a landlord during the lease/option term. Thus, the seller, retaining ownership, pays the taxes and insurance. On the other hand, in a seller financing arrangement, the buyer is not a tenant-buyer in that the property is not being leased but instead, the seller "becomes the bank" and the buyer takes possession of the property with the seller having a first lien position on their own property in much the same way as a bank (or alternately a private lender, see Financing for more information) would with a mortgage. That being the case, the buyer is responsible for the taxes and insurance. An example of a seller financing arrangement consists of monthly payments for a 15-30 year term but with a balloon payment for all the remaining balance after 3-10 years. This gives you time to build up equity or save enough to refinance into a new, larger 80 percent conventional mortgage before the seller's loan comes due. Seller financing is a specialty niche market in itself, albeit less common than lease with purchase options. Also, some sellers may do both lease with purchase option or seller financing arrangements or in some cases, both. An example of a lease with purchase option combined with seller financing would be a 2 year term lease with purchase option followed by an option to exercise option and purchase property with a 3-5 year seller financing term. Be cautious about seller financing. Some sellers who offer property with built-in financing are trying to dump a house that has major defects. It's also possible that the house may be priced far above its fair market value. Before accepting seller financing, make sure that the property does not have fatal flaws (have a thorough inspection conducted) and is priced competitively. Also be sure that the seller financing interest rate is as low or lower than you can obtain through a traditional mortgage lender. Seller financing arrangements are generally sought out by investors. If this is something that interests you, CONTACT US. There is also another, generally long term lease with purchase option arrangement that investors are interested in - the sandwich lease with purchase option. Sandwich Lease with Purchase Option - A sandwich lease with purchase option differs from a [regular] lease with purchase option or a cooperative assignment lease purchase in that in this arrangement, an investor is a tenant-buyer as in a regular lease with purchase option but then sublets/sub-options the property to an end tenant-buyer rather than assigning the lease with purchase option agreement. If you are interested in this type of arrangement, please go to the Investors page or CONTACT US. Exercising the Option to Purchase - In a lease with purchase option, the first step in the purchase of the property is to exercise the option to purchase. This is typically done by sending written notice via certified mail to the seller before the expiration date. A closing date of typically 30-90 days after option exercise date is also set in the exercise notification. The exact time frame for the closing date (e.g. 30, 45 or 60 days, etc.) is specified in the lease with purchase option agreement. It is important to note that the closing date could conceivably be after the expiration date. However, the latest closing date (the "on or before" date) could be specified in the lease with purchase option agreement as well. Often, this date is the option expiration date. Therefore, it is important to exercise the option early enough to allow the closing date to be set on or before the expiration date. Also, any outstanding funds required as down payment to obtain financing would be paid at this time. Also, during this time, the seller shall provide the tenant-buyer with an updated abstract showing the title to be good, marketable and insurable. In addition, any funds put up for security which are not "rolled" into the purchase option premium would be returned to the tenant-buyer at this time (but, said deposit is usually put towards the down payment with the purchase option premium). If the option to purchase is not exercised by the expiration date and/or not closed by the closing date and there is no extension, the security deposit (if not "rolled" into the option deposit) would be returned to the tenant-buyer at the end of the lease term in the usual way (differs depending on the landlord). If it is "rolled" into the purchase option premium then it could be either returned in the usual way or forfeited with the rest of the purchase option premium. The lease with purchase option agreement should specify what happens in this case. Finally, a word about the inspection contingency period. Upon start of option term, the tenant-buyer is accepting the property in 'as is' condition. Therefore, it is important for the tenant-buyer to complete any and all desired inspections prior to the start of the option term. This will reduce the chances of a property "failing the test drive". There are 3 types of seller concessions that can be offered during the lease/option term. There is no guarantee that a seller would want to grant any of these but they are possible options. "Rent Credits" - "Rent credits" are one of the seller concession terms in a lease with purchase option arrangement (the other 2 are "improvement credits" and "early close credits", see below for more information). They are strictly optional (but recommended). A seller may choose to offer one or more (perhaps all) of these terms or perhaps none at all. They are incentives for tenant-buyers to enter into a lease with purchase option agreement. As stated earlier, rent credits are a reduction in purchase price (cash back at closing for closing costs). These rent credits are an incentive for on-time rent payments because they would only be given if the rent is paid by the 1st of each month (and not the 2nd, 3rd, etc. even though those are within the 'grace' period before a late fee would be charged (there is also a possible exception to this rule - see the [rent escrow] tenant-buyer assurance page for details)). A typical "rent credit" is $50-100/month although some sellers (especially 'free and clear' ones) may offer more (especially if a larger purchase option premium is paid). Note that with the [rent escrow] tenant-buyer assurance program, the rent would always be paid on the 1st of each month thus any rent credits would always be earned (the exception to this rule could be if the 1st of the month is a non-business day in which case, the rent would be paid on the 1st business day of the month or alternately, the rent could be paid before the 1st of the month - see the tenant-buyer assurance program page for further details). Work performed must increase the value of the property and does not include maintenance and repair expenses. The seller must approve of said work prior to start and work must be completed by licensed professionals. If tenant-buyer does not purchase, these upgrades and improvements become the property of the seller. Examples of such improvements include gutting and remodeling/updating kitchens (including appliances) and bathrooms, adding back decks, installing upgraded blinds, upgrading fixtures, redoing flooring, adding security systems and so on. Generally, improvement credits are offered on properties that need work or are 'functionally obsolescent' (an example of this would be a 4 bedroom house with only 1 bathroom). The amount of this credit is dependant upon the condition of the home as expressed in a dollar amount or as a percentage of materials and/or labor but is typically a maximum of $2,500-5,000. Also, the form of the credit is typically a seller concession although some sellers may apply the credit to the rent. "Early Close Credits" - Last but not least, there are early close credits, the final of the three optional lease with purchase option terms. These are incentives for the tenant-buyer to close sooner in the option term. These credits are generally given if property is closed on at 6 month intervals before the end of the lease/option term. For example, in an 18 month lease/option term, there could be an early close credit for a 6 month closing or a 12 month closing with a larger early close credit the earlier the property is closed on (e.g. at 6 months (or sooner) the early close credit would be more than that on a closing at between 6-12 months). So, whether you are a tenant-buyer, seller or investor, we highly look forward to working with you in renting-to-own, selling or in making a great investment !! !